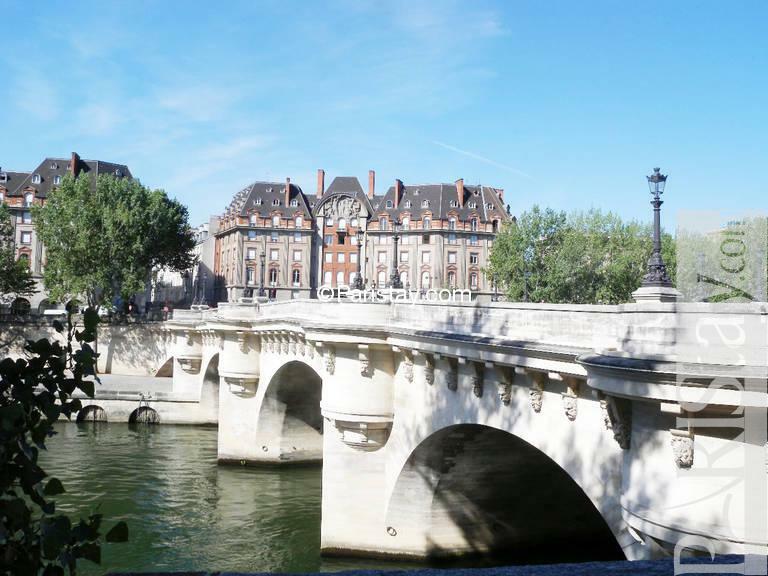 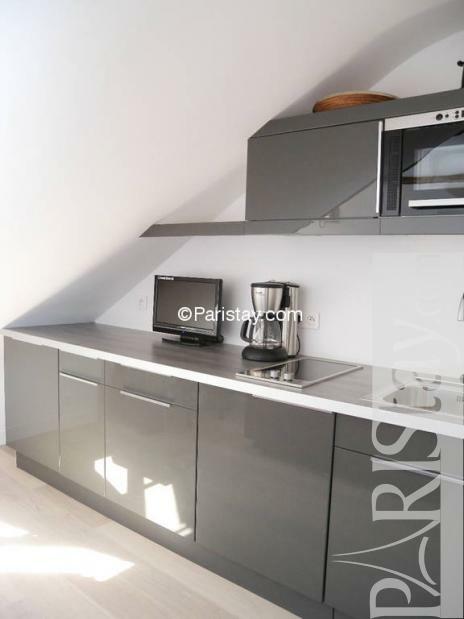 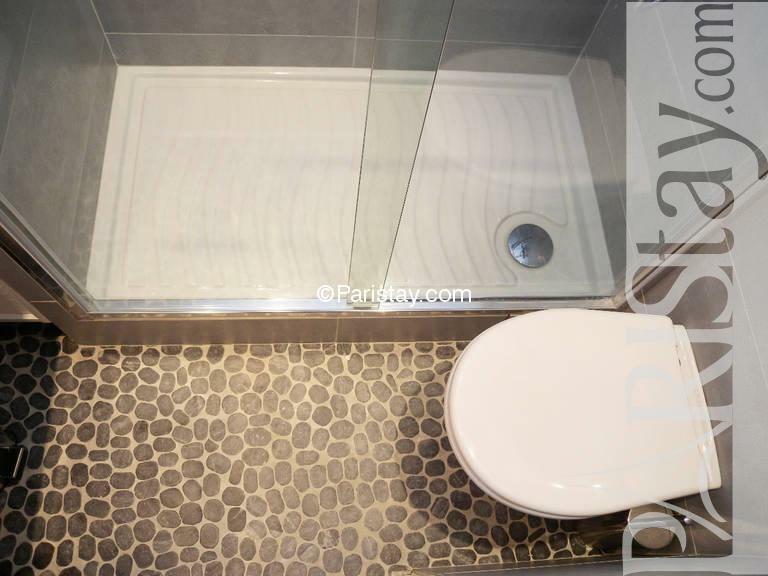 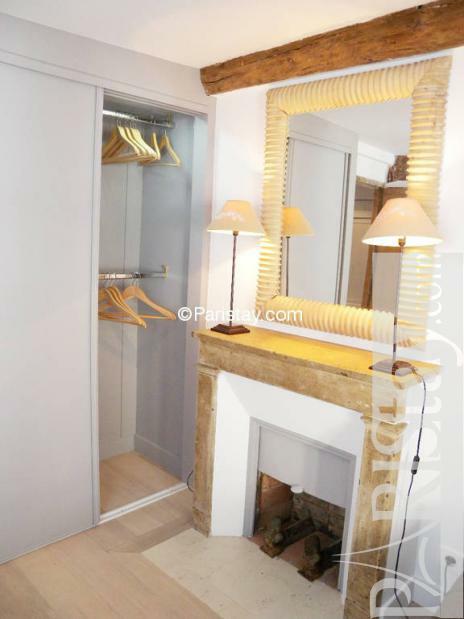 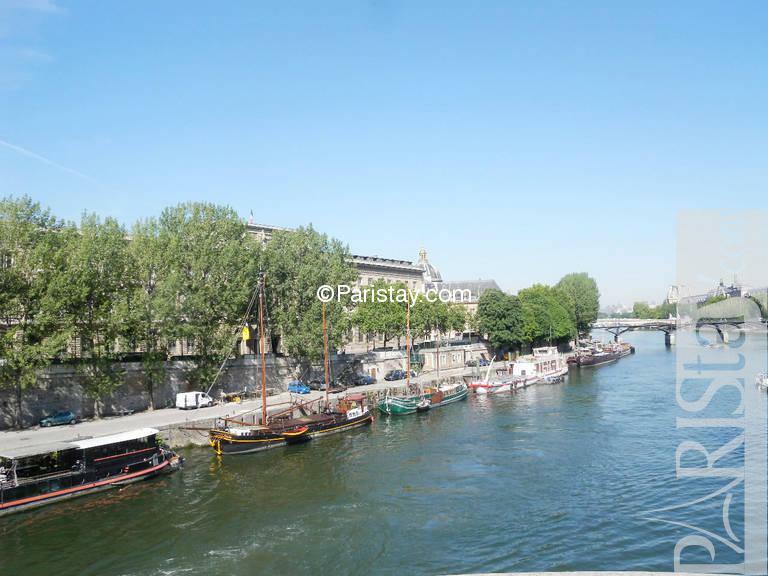 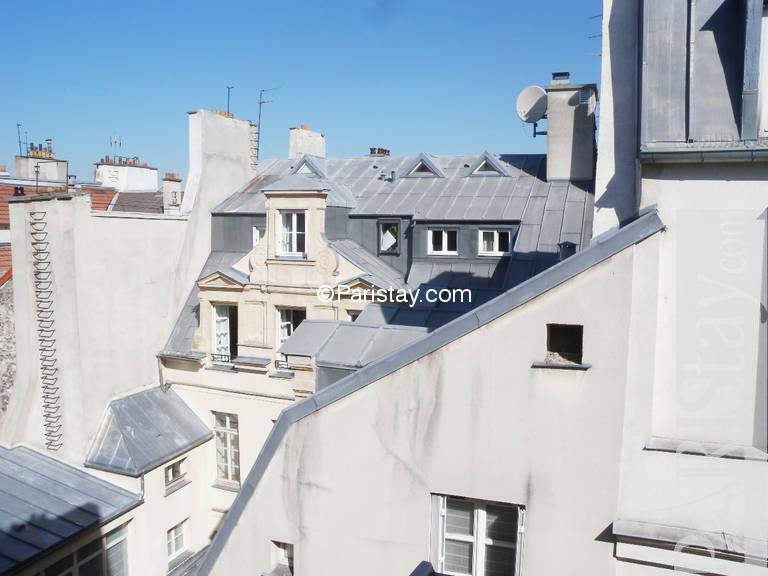 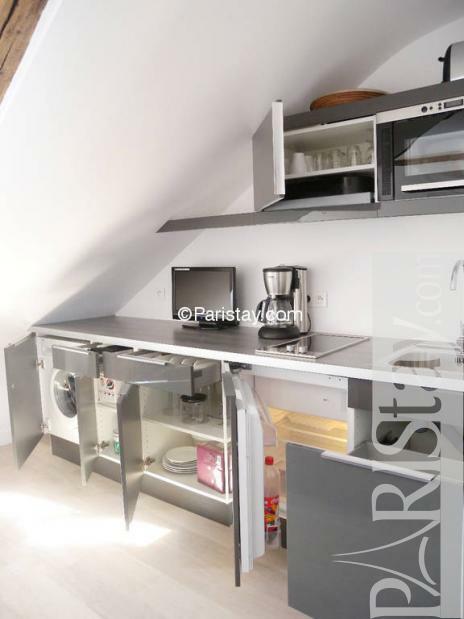 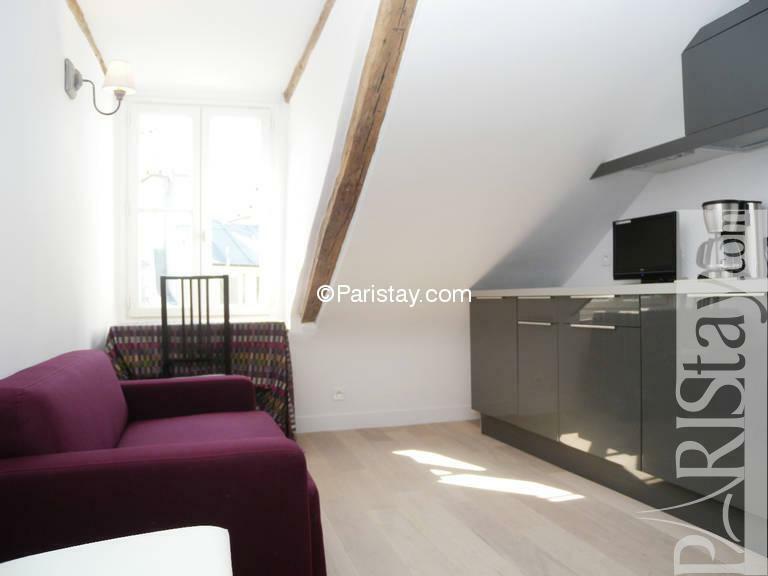 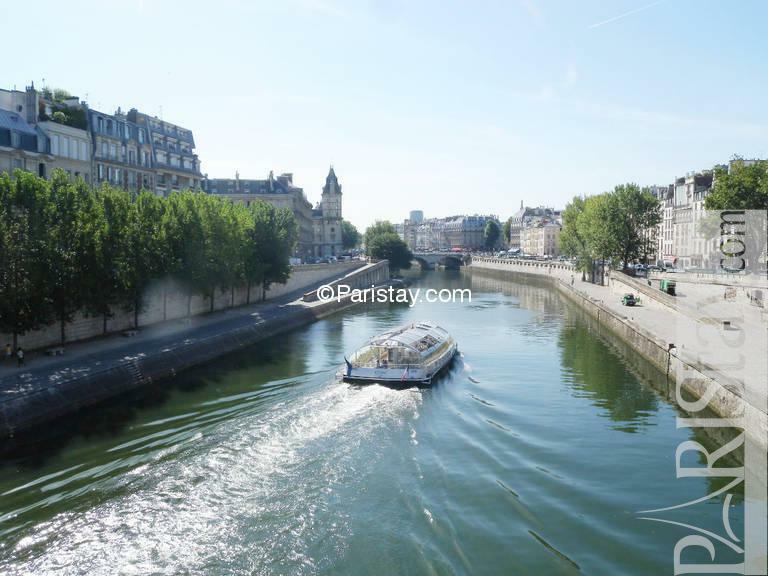 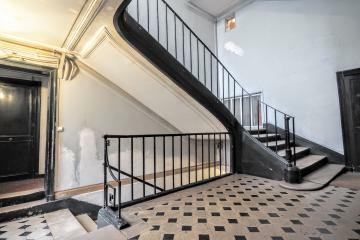 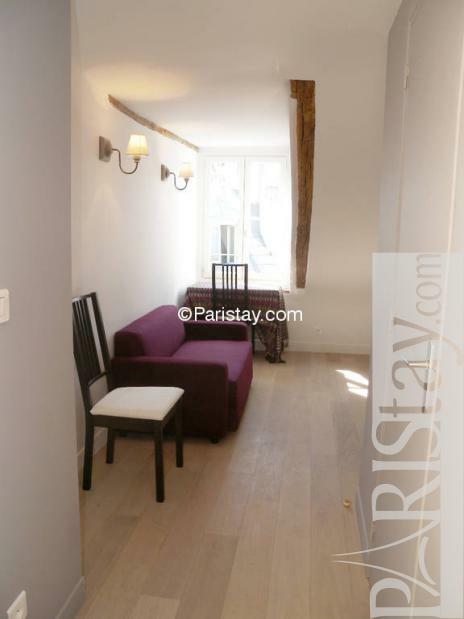 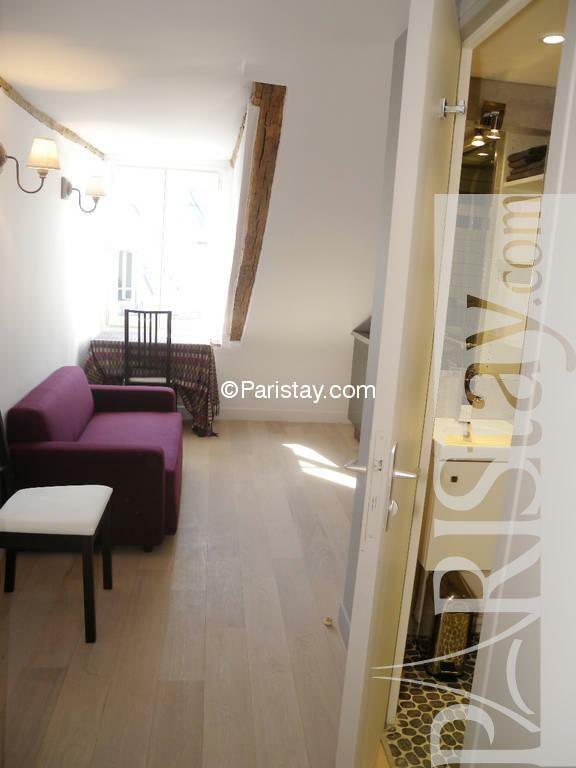 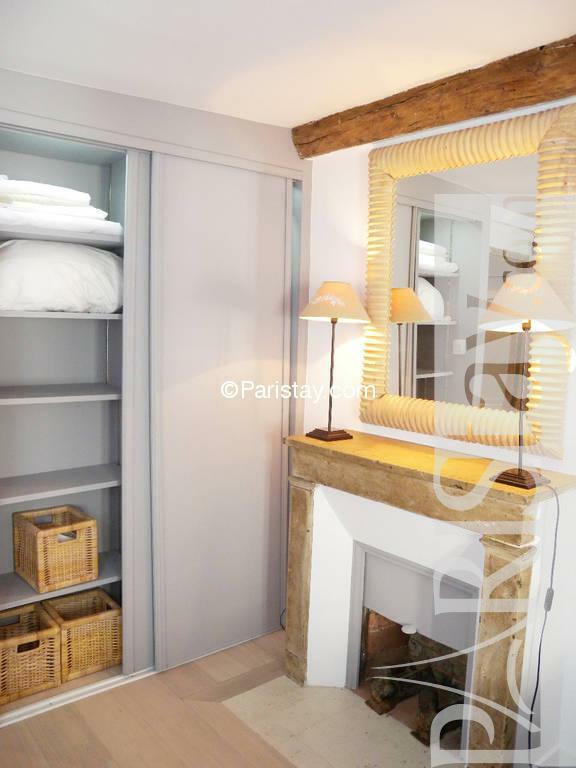 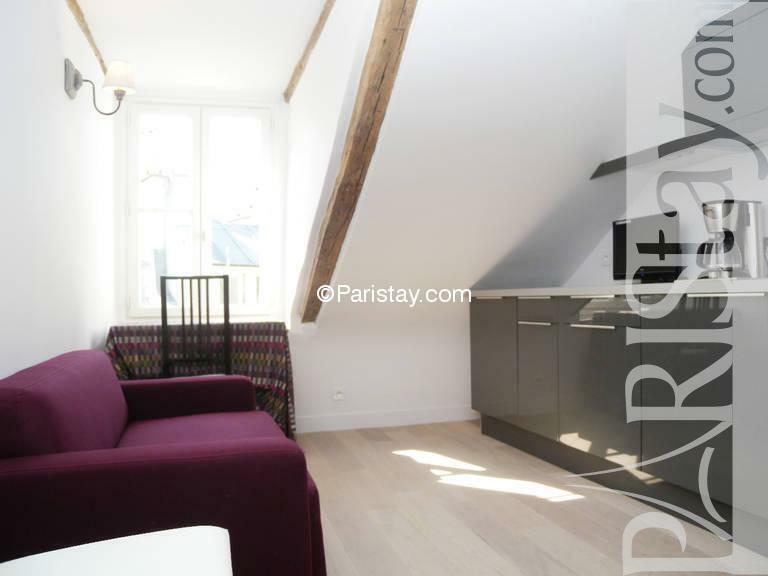 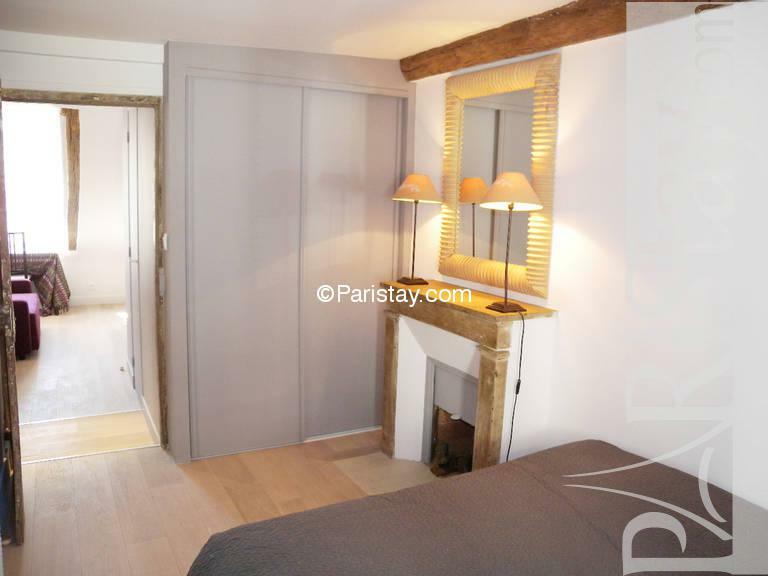 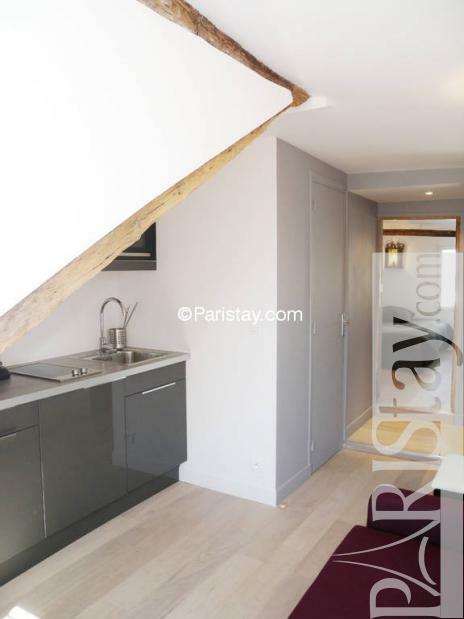 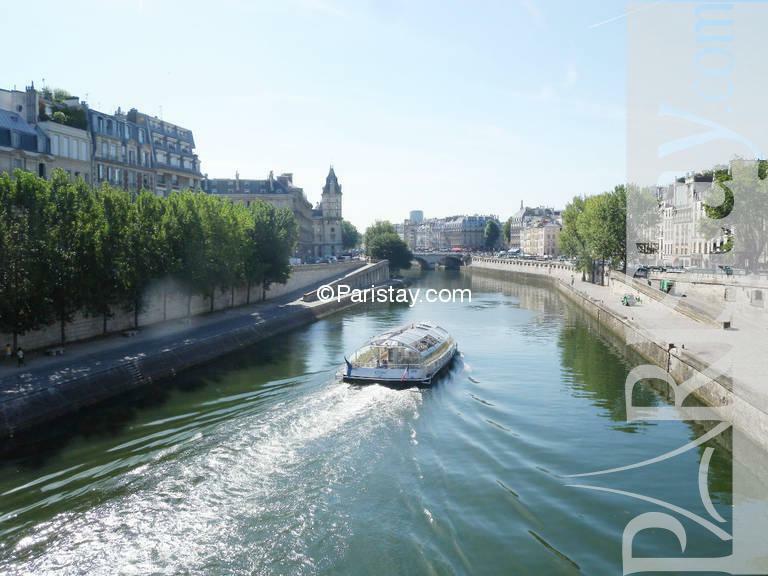 This Paris one bedroom apartment is situtated in the heart of the Latin quarter, near St Germain des Pres, the Seine river, Notre Dame, the market street rue de Buci and its art galleries. 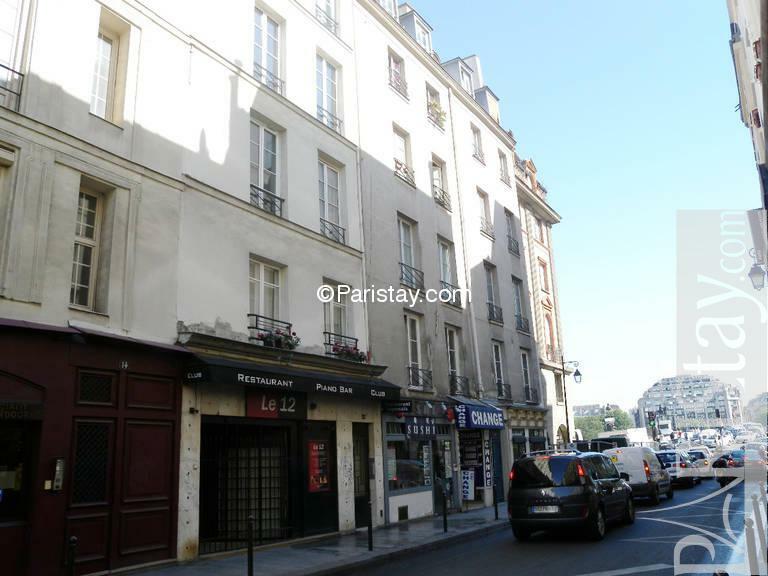 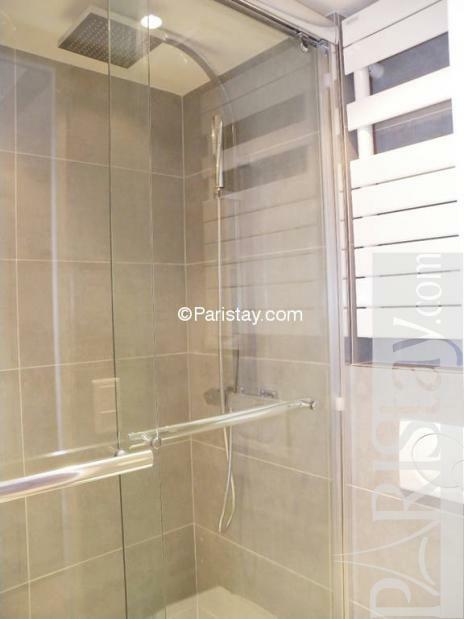 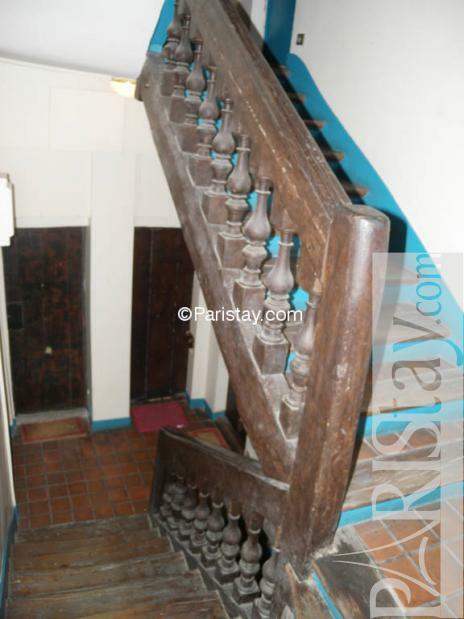 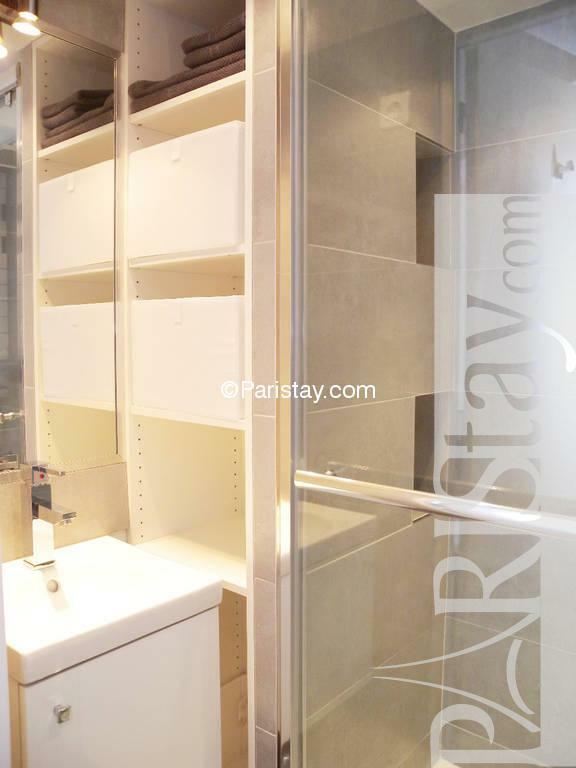 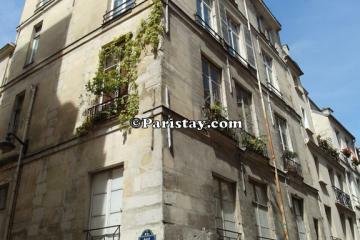 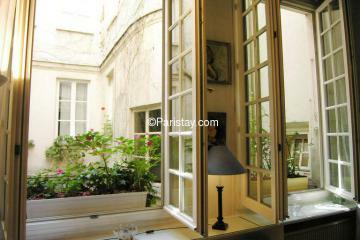 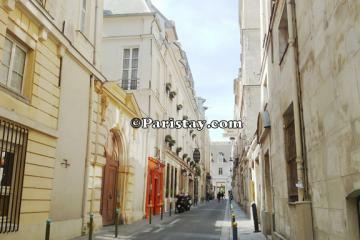 It is the perfect place to stay for a long term Paris renting. 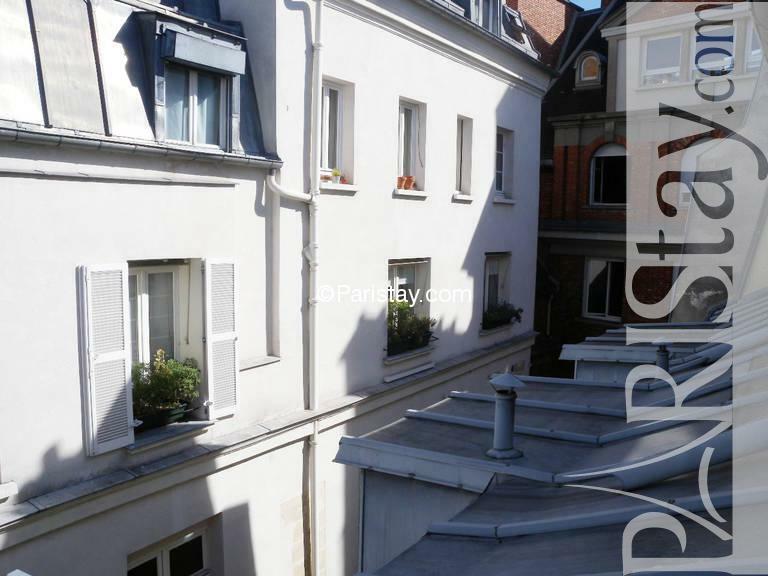 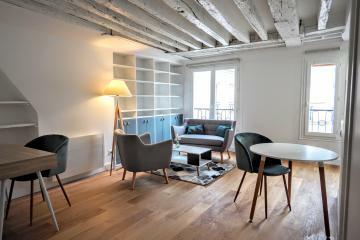 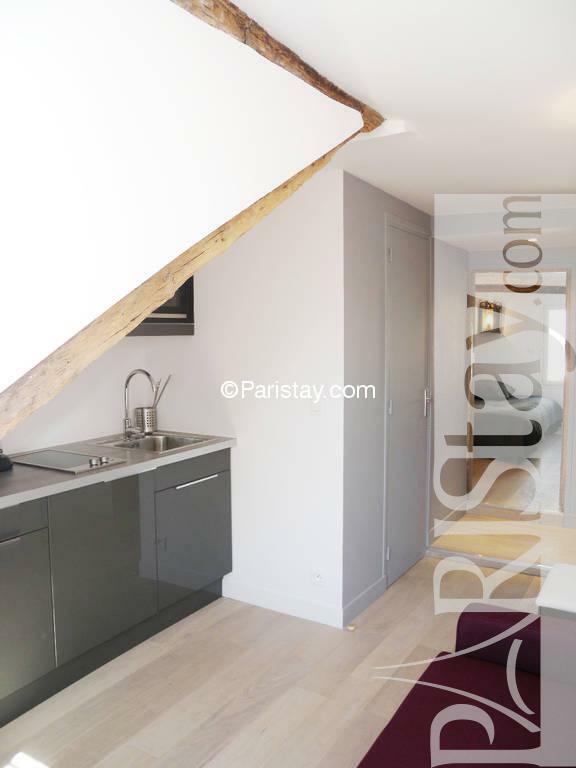 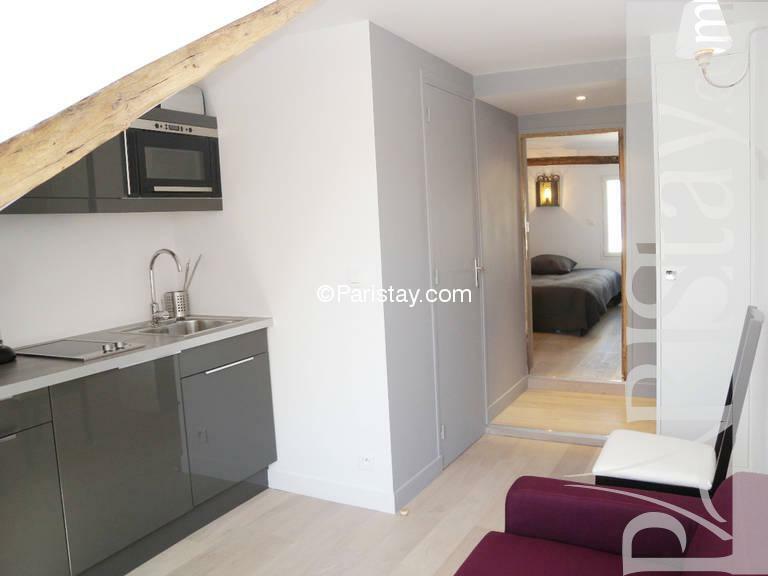 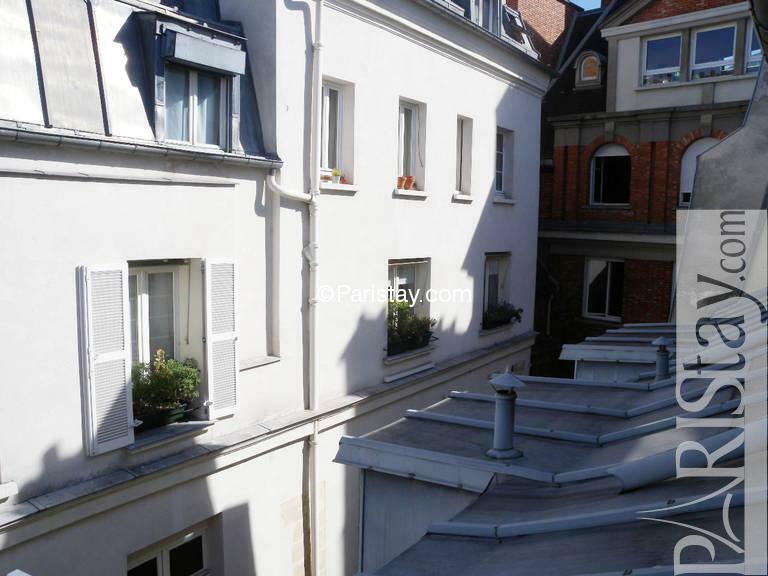 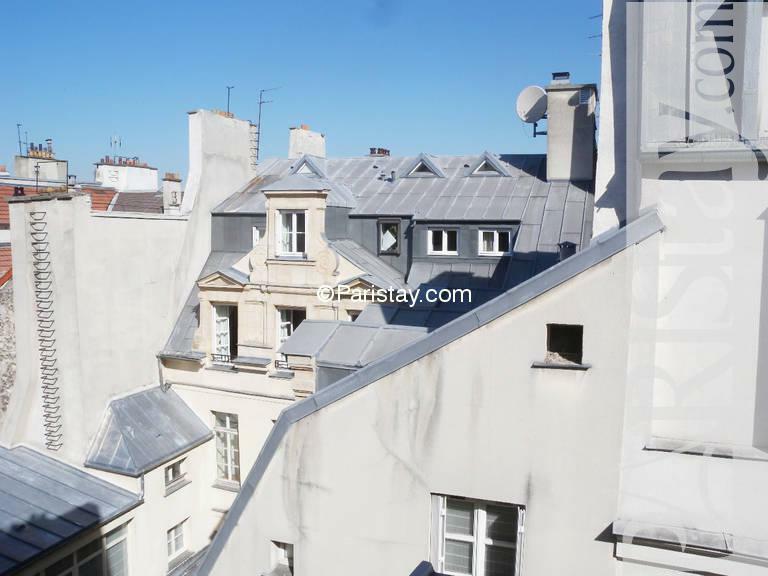 Totally renovated in June 2010 there is a quiet bedroom facing the beautiful Parisian rooftops. 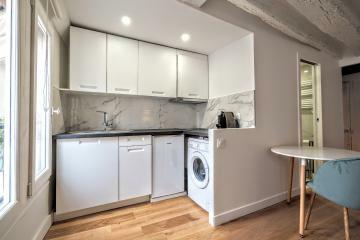 The living room with its open kitchen are facing the inner courtyard side. 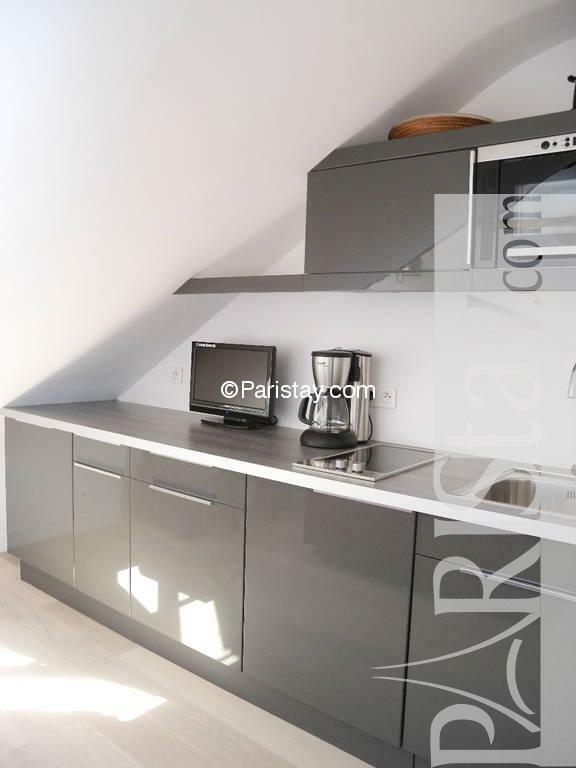 You will like this apartment as well as the area. 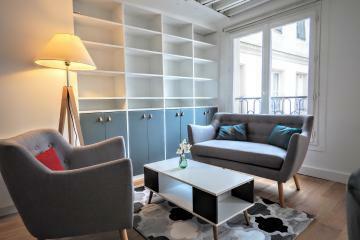 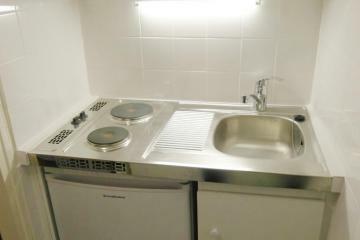 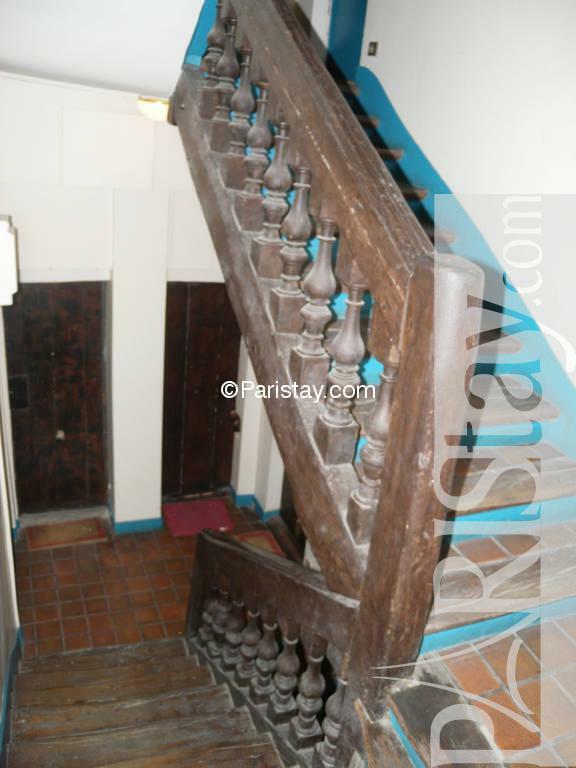 18th's Building, 5 rd floor, without Lift, entry code security system, Studio Appartement, furnished, Approx: 24m² / 258 Sq.Ft.